Digiperform > Blog > Business & Digital Marketing Tips > Stats Proving – Why brands should focus on Mobile Commerce? Stats Proving – Why brands should focus on Mobile Commerce? Mobile and the Internet have become an important part of lives for our daily chores. Even the network service providers Signal Boosters UK stated the shift that has been expected from desktop to mobile is now imminent. It is expected that by 2021, mobile commerce sales will account for 54% of e-commerce sales, which is astounding. 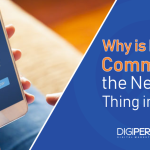 Believing to the fact, now seems a good time for any business to realize that having a fully functioning, an appealing mobile-friendly site is imperative. This will not only impulse the sales, but it will also ensure the smooth operation of purchasing cycle as it is much easier to purchase the products from mobile as compared to desktop, all because of its mobility. M-commerce (mobile commerce) is the buying and selling of products and services through wireless devices such as smartphones, tablets, desktops, etc. Mobile commerce in 2019 is expected to grow to heights never imagined before. Statistically speaking, in 2017, mobile commerce accounted for $700bn in revenue, which is more than 300% growth in the last 4 years. With this figure, it is anticipated to continue rising throughout 2019, here are a few key figures demonstrating why every business should be focusing on mobile commerce this year. Research says, 55% of the global population have internet access by the end of 2018. That accounts for 3.2 billion people, and of those, 2 billion are mobile users. This shows the dominance that mobile commerce could potentially gain through this coming year as well, with such a large number of individuals now using their mobile phones to browse and purchase. According to the Pew Research Centre for internet and technology, in 2018, 77% of internet users owned a smartphone, which is a 42% increase from six years ago; again demonstrating the importance of mobile commerce. Nowadays, individuals are far less inclined to boot up their PC in order to browse online. As it is far more convenient for them to do so on their mobile phone. Per month, the average user spends far longer browsing on their smartphone than on their PC. This states the dramatic shift from past user habits, which needs to be acted upon by businesses in 2019. To build upon this statistic, it has been found that the average person spends over four hours on their smartphone every day, checking it as often as 150 times per day. These figures again emphasize the importance of a successful mobile commerce campaign, with a lot of potential sales to be made within this area. Mobile commerce sales in 2018 accounted for 34% of total e-commerce sales. This number is always growing, and by 2021 is expected to account for over half of total e-commerce transactions. This supports the aforementioned statistic, suggesting that users in the modern era are more inclined to browse on their mobile devices, as opposed to on a PC. The impact that mobile commerce can have on a company’s profits cannot be underestimated, and it has been shown that if a person has a negative experience on a mobile website when purchasing a product, they are 62% less likely to purchase from that website again in the future. This illustrates that creating a positive, streamlined customer experience is paramount when discussing why businesses should be focusing their attention on mobile commerce in 2019. In 2018, it was found that 20% of adults are classed as “Smartphone only” users, meaning they own a smartphone but do not have traditional home broadband services. This may be due to a number of reasons, such as increased pricing for broadband, as well as slower speeds than some LTE 4G networks. This further implies the significance of mobile commerce, and how essential mobile commerce is shaping up to be within the very near future. As mentioned earlier, 67% of individuals admitted to ‘digital window shopping’ on their smartphones, with 77% of these leading to impulse purchases; as established already, convenience is a massive factor when it comes down to mobile commerce. 70% of mobile searches lead to action within the first hour, which is astonishing when compared to PC users, which takes users a month to reach the same percentage. The sheer number of users that are now browsing on their mobile phones is enough for any business to realize that this is an opportunity that cannot be overlooked. Having a successful, functioning and streamlined app has been shown to increase customer loyalty within mobile commerce. An Appetitive survey noted that 66% of companies saw a decline in customer loyalty for not having a mobile app. The shift that has been apparent for a number of years appears to be coming into fruition, with many consumers turning to their mobile devices for day to day retail habits. Why is Mobile Commerce – the Next Big Thing in 2018?